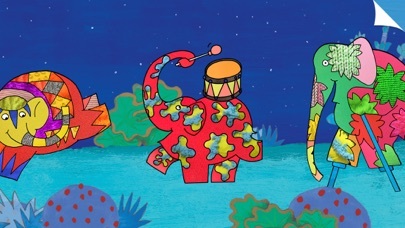 It’s nearly time for Elmer’s Parade, and his elephant friends need your help to get ready. 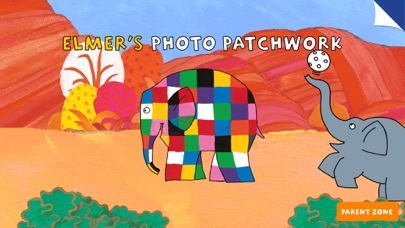 Get creative, take inspiration from the world around you and use your camera to decorate the elephants with your own bright, beautiful patchwork pattern. 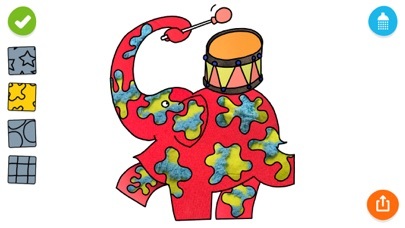 Have fun making each of Elmer’s friends unique and ready to take part in the parade. “This is a brilliant app for getting your children out and about in the real world...Ideal for exploration to find interesting colours and shapes in the outside world.” – The Guardian “Elmer deserves a place in everyone’s childhood.” – Angels & Urchins “A deserved favourite.” – Sunday Times FILL PATCHES WITH YOUR CAMERA Use your camera to take photos of interesting shapes, colors and textures and add them to your elephant’s patchwork pattern. 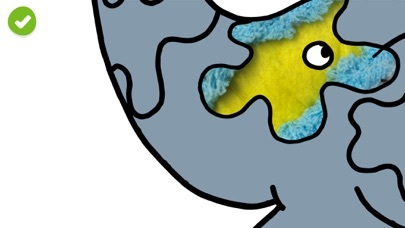 Make every one of Elmer’s friends colorful and unique. Each of the ten elephants has four patchwork patterns to choose from – combined with the photos you take, your parade will be truly one-of-a-kind! TELL A STORY WITH PATCHWORK The only limit to each photo-patchwork is your imagination. Try telling the story of your day in a series of photos. Capture your trip to the park or your visit to the museum in an unforgettable way. 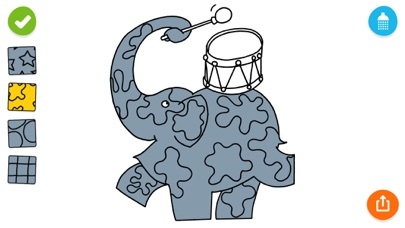 This way, like Elmer, each one of your elephants will be different and special. CREATE YOUR OWN PARADE Once you’ve decorated Elmer’s friend, save your creation to your camera roll. Then you can share them with your friends and family, or print and keep your patchwork creation with you. You could even fill your room with parading elephants! PARENTS AND EDUCATORS This app is ideal for children aged 3–8. While your child is having fun with this app, they will naturally be developing a photographer’s eye for composition, color, pattern and texture. We made this app so that children could fall in love with patchwork and photography as we have, and see the world as a work of art and an endless source of inspiration. The app requires you to take a picture to fill in each patch. You can not load pictures from your device. You can not use any stock pictures because the app doesn't provide them, nor does it let you load your own. You can not reuse a pic you took so you need to take a new one for every patch. Getting up to take a picture for every patch, gets frustrating. Would be fun if: 1. You could load your own picture to patch up. 2. You could load or offer stock pictures. I wouldn't buy this app if I knew how limited it is.